Just a cute little decoration for your holiday home or table or to place around the house for a party! Just wash and core an apple with either a knife or a pineapple corer. 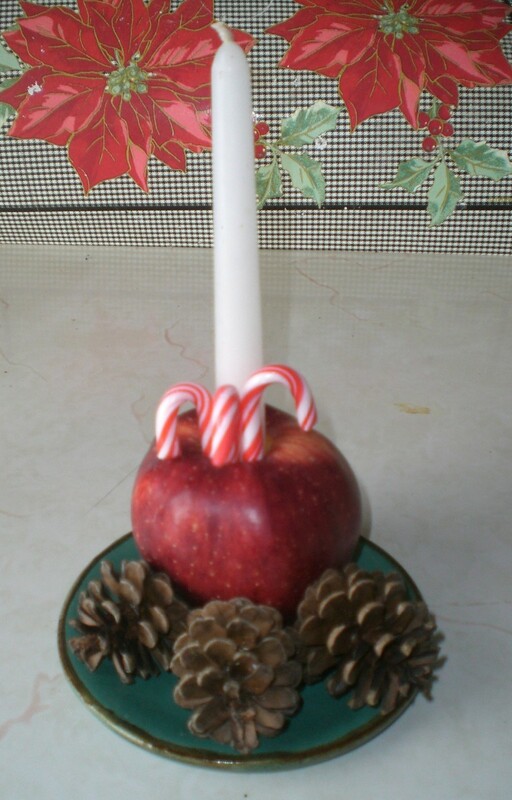 Insert your candle and add a few candy canes into the same hole in the apple then set on a small plate with any type of holiday decorations, holly, greens, even small ornaments! Simple but so pretty on a table or for a party!